Kieran and Jim play O’Riordan’s Bar on Saturday night from 10pm. Pa Malley entertains in Hogans on Sunday night. Please support your local pubs. 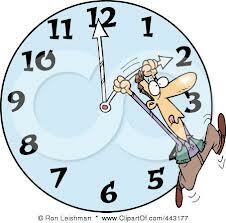 Clocks Go Back this weekend. Enjoy the extra hour in bed on Sunday morning as the clocks go back one hour this Saturday night/Sunday morning (depending on whether you are a night owl or early riser!) at 2 am and winter time officially begins. Sunset will be an hour earlier, so it’ll be getting dark at a soul-perturbing 5.00pm, and even earlier (by 100 seconds a day) every day after that. LET DARKNESS REIGN. Those who inexplicably favour the dawn will appreciate daybreak coming an hour earlier too, at 6.45am. These people are also not to be trusted. 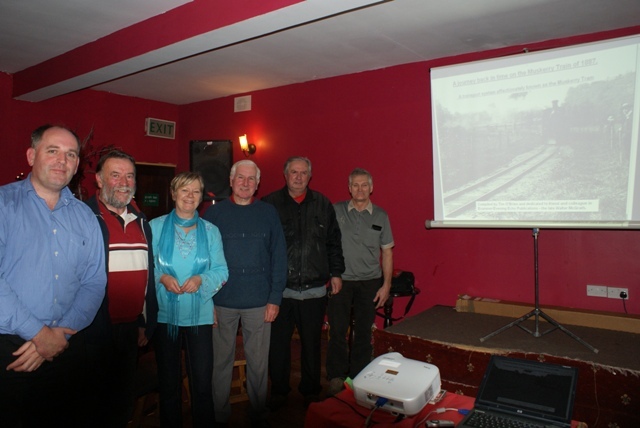 Doug Lucey, ACR heritage group, Martin O Mahony, Photographer, Siobhan Hogan, organiser, Tim O’Brien, Historian, Anthony Greene, ACR Heritage group and Jimmy Buckley, Buckley’s Garage and Peake Railway Station. A large crowd were in attendance in Hogan’s Bar last weekend to hear historian, Tim O’Brien speak on the life of the Muskerry Tram. Tim described how the tram came into being, the routes it took, the people who traveled on it and the places it visited. The presentation was interspersed with some wonderful photographs, stories and newspaper articles of the period from 1899 to 1934. Many of those present had a direct connection with the Muskerry Tram. Some had relations who worked on it, others now live along the route the steam train took and some even reside in the old station houses or live very near them. The audience was transported back in time to relive the glory years of steam travel from Cork’s Western Road to Leemount, Cloghroe, Blarney, Dripsey and Coachford. Tim O Brien also gave a flavour of the times that the train travelers lived in; the innocent days before World War 1 to the troublesome times of the War of independence and the civil war to the peaceful days of the early 1930s. The audience got involved in the presentation and many stayed on after to look at the maps and documentation associated with the Muskerry Tram. Up to date photographs of the route as it looks today were also on show and these depicted very well what the ravages of time and years of neglect can do to a once beautiful train route through the countryside. Suggestions from the audience were also made to try and restore the Muskerry Tram route for walkers and cyclists as similar tourist initiatives have proven to be very successful throughout Britain andEurope. Coachford School raises the Active Flag. Coachford National School first ever Active Flag was raised last Tuesday By Cork Footballer and International Rules Star, Ciaran Sheehan. Congratulations to the pupils, staff and parents on making school life more active. To achieve Active Flag statues the school took part in various initiatives over the last 12 months including inter class blitz’s, Walking to school on Wednesdays and various other novel active games and activities. Well done to the Coachford National School boys football team who have reached the Sciath na Scoil Football final on Friday November 15th when they will play Midleton. The very best of luck to these fine footballers. 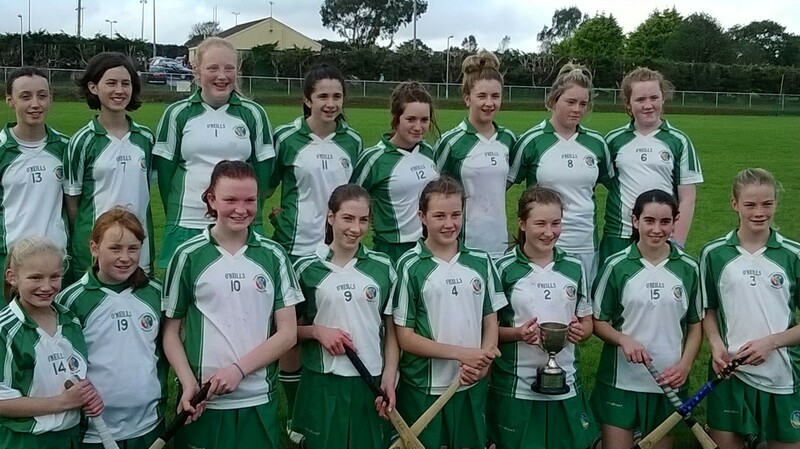 Well done to the U15 Camogie Girls on winning the Muskerry U15 A Camogie blitz on Saturday, 19th October in Ballyanley. The girls beat Ballincollig and Blarney in the opening matches and then beat Ballincollig again in the final. Well done to all involved. The Coachford Tidy Towns group meets every Sunday morning at 11.30am.in the Church car park. The group has recently purchased a large quantity of flower bulbs and is planning a major bulb planting programme within the next two weeks and would appreciate help from people who would be available to plant some bulbs on the approach roads to the village. It’s bulbs of a different kind that are the focus of the Coachford Christmas Lights group who are busily trying to source more lights to decorate the village in the run up to Christmas. The group is planning a table quiz in early November and will have collection boxes in the shops and bars throughout November and December if people wish to donate to the 2013 fund. Congratulations to Coachford players who picked up the Adjudicators award at the Ballincollig Theatre Festival last weekend. The festival was the first opportunity the group had of performing their production of NINE and while they were some first night nerves the actors, Maura Lucey and Diane Searls performed the challenging roles very well. The group’s next outing takes place this weekend in Kilmallock, Co.Limerick as part of the All Ireland One Act Drama competition. ACR Community Council once again want our community to come together to celebrate, congratulate and award the outstanding members of our community. Nominate the person or group you feel is deserving of recognition by picking up a Nomination Form from shops & churches in any of the three villages. Forms are also available on line at https://coachford.wufoo.com/forms/acr-achievers-awards-2013. The closing date is this Sunday, October 27th. The Coachford AFC adult teams will enjoy a break from competition this weekend. The adult team got off to a great start last Saturday as they began their defence of the AUL Premier league title by defeating Innishvilla by 3 goals to 2. The Under 12s suffered a heavy defeat last Sunday when they lost in the National Cup first round to Riverstown by 8 goals to 0. This week the team are out early on Saturday when they play Churchvilla away in the league on Saturday at 10.30am. The Under 13s also play on Saturday. They entertain Avondale in the league at 12.45pm at Dam Road. On Sunday the Under 14s travel to Blarney to take on the home side in the league at 10.30am. This entry was posted in Useful Numbers and tagged ACR Community Council, Aghabulllogue GAA, Aghabullogue Camogie, Coachford, Coachford AFC, Coachford Players, Cork Schoolboys, Hogans Bar, Kieran and Jim, Muskerry Tram Talk, O'Riordans Bar, pa malley, tidy towns. Bookmark the permalink.